Image courtesy of The owner of a 2002 Nissan Altima submitted photos of the vehicle's rusted-out floorboards to NTHSA. The owner of a 2002 Nissan Altima submitted photos of the vehicle’s rusted-out floorboards to NTHSA. The only time you want to see someone driving down the road with their feet hanging out of the bottom of their car is on an episode of The Flintstones. But for hundreds of Nissan Altima owners that scene could very well become reality as they continue to report that rusted-out floorboards in their vehicles put their toes entirely too close to the road. NBC News reports that consumers have submitted more than 400 complaints to the National Highway Traffic Safety Administration regarding rusted-out floorboards in model year 2002 to 2006 Nissan Altima sedans, but have so far received little help from the agency or car manufacturer. Many of the consumer complaints posted to NHTSA’s database describe significant floorboard issues in the Altima vehicles. Other owners describe seeing the rust issue in a wide range of older Altimas, signaling what they believe is a possible manufacturer’s defect. Although some of the vehicles with rusted-out floorboards are located in states that use road salt – a component that has been linked to rusted vehicles – mechanics who spoke with NBC News say the pattern of rust could indeed be a design flaw that prevents water from draining, causing the floor pans to rot from the inside out. 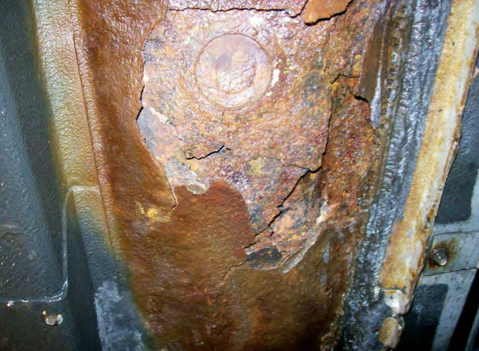 For its part, Nissan maintains that corrosion in older vehicles isn’t all that unusual. “This issue is not considered a safety defect by Nissan or the government agency that administers safety recalls,” the company said in a statement to NBC News. NBC News reports that one injury has been submitted to NHTSA regarding the issue, but that mechanics warn more could follow if something isn’t done to address the rusting floorboards. Because the manufacturer doesn’t consider the issue a safety defect and most of the cars are out of the company’s warranty period, consumers are left to foot the bill for repairs, which can cost thousands of dollars. The owner of a 2002 Altima writes in a complaint to NHTSA that a local auto repair shop quoted repairs to both sides of the vehicle at around $3,200.